This article is created to make some suggestions that how to plan your sightseeing or a layover in Shanghai, How to take limited days to explore the legendary history of Shanghai, walk on the time-honored cultural streets, enjoy its charming buildings, indulge in the unique colonial atmosphere, appreciate the folk custom and food in Shanghai. As a city with thousands of years history, Shanghai, where East meeting West and the past joining the future, is now the most cosmopolitan city in China. Tourists in Shanghai can easily find awesome modern skyscrapers anywhere, and meanwhile, large neighborhoods of foreign architectures built in the concession times would also catch your eye. The graceful, charming and elegant western buildings where Europeans once resided, the pleasant tree-lined streets, long and complicated alleyways still retain an air of the "Paris of the East". The classic ancient Chinese attractions in the old Shanghai Town in the current downtown Shanghai are also deserving of a visit for all tourists. 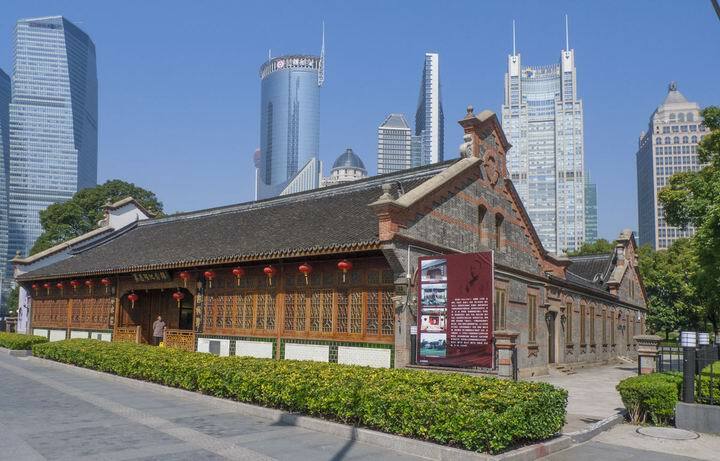 A well protected traditional Chinese style residence building complex in the center of Lujiazui Financial and Trade Zone in the heart of Pudong New Area to the East of Huangpu River. 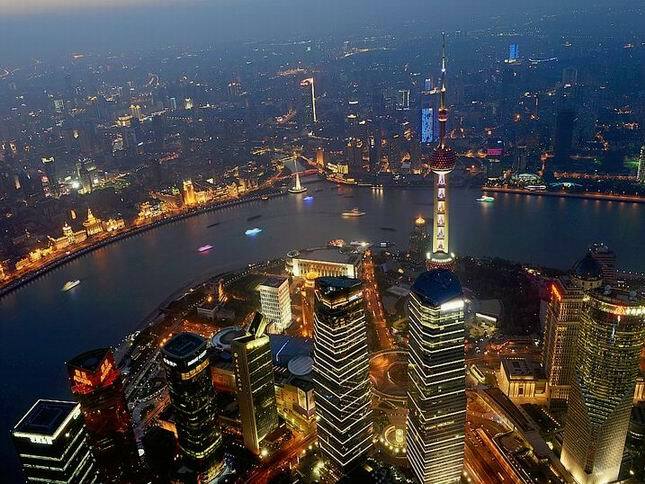 You can walk on The Bund in the east bank of Huangpu River, and visit the Oriental Pearl TV Tower with the Shanghai History Museum in it in the east bank of Huangpu River. 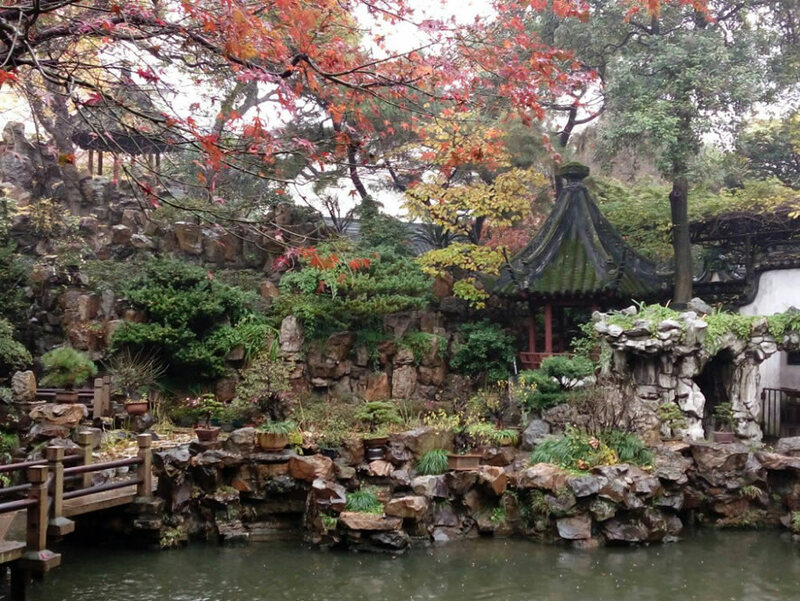 In the Old Shanghai Town area, you can visit Yuyuan Garden, Yuyuan Bazaar and Old City God Temple. In the former French Concession area, you can visit Xingtiandi with Site of the First National Congress of the Chinese Communist Party, Si'nan Mansions (also called Biarritz in Shanghai). In this way, tourists can enjoy the western palace like skyscrapers built in the colonial period on The Bund and the skyscrapers reflecting the progress of modern science and technology built in the Reform and Open Door Policy period in Pudong New Area now, to know more about Shanghai History in the museum in the Oriental Pearl Tower and have a panoramic view in the observation deck inside the 486m high TV Tower. 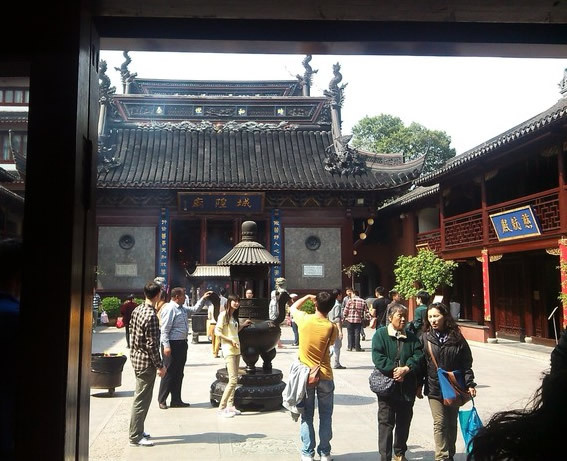 You will walk in the Old Shanghai Town area to visit Yuyuan Garden, the masterpiece of classic Chinese garden arts, and Yuyuan Bazaar, the most famous traditional Chinese style bazaar in China, and Taoist Old City God Temple, the most famous city god temple in China to know exquisite Chinese garden arts and the indigenous religion of China - Taoism. Strolling in the sylvan streets and narrow alleyways in the former French Concession area, passing tudor houses nestled in beautiful gardens, resting in a cafe, enjoy the boutiques or browsing through the endless art galleries and photographic studios… the visit to Xingtiandi inside the Concession, an upmarket, pedestrian only, shopping, eating and entertainment district composed of refurbished or reconstituted graceful traditional early 19th century Shikumen ("stone gate") Houses, narrow alleys and stone paved courtyards, with the Site of the First National Congress of the Chinese Communist Party in Xintiandi and the nearby Si'nan Mansions area (also called Biarritz in Shanghai) is also the highlight of this day tour. Please click here at Computer for more detail about the Classic One Day Shanghai Tour for most of the must-see places in Shanghai. Please click here at Mobile Phone for more detail about the Classic One Day Shanghai Tour for most of the must-see places in Shanghai. In the morning, take several hours to walk in the deep and the secret heart of French Concession: Wukang Road (old name Route Ferguson after Mr. John Calvin Ferguson, an American Missionary and 1st official president of Nanyang College (the former Jiaotong University).). This 1.17km long street was built by Mr. Johan Ferguson to improve the traffic condition of Nanyang College. 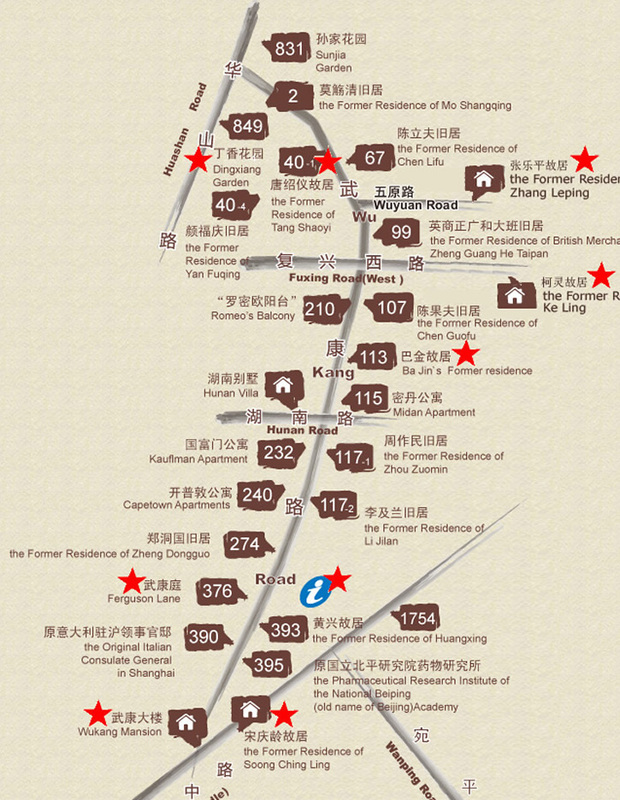 In 1914, the French Concession expanded to here. Now it is one of the most famous elegant plane trees-lined streets in the former French Concession clustered with many upmarket charming western style villas and apartments, discreet but famous cafes and restaurants, trendy tucked-away boutiques. This narrow road is much popular in autumn when the golden leaves cover the ground. 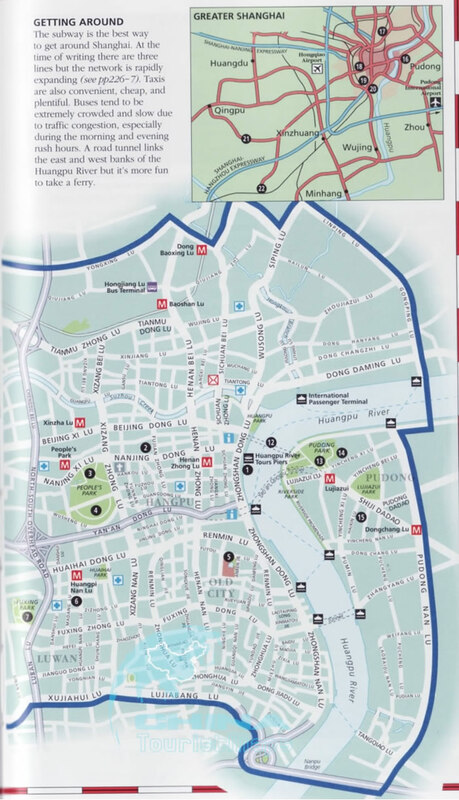 There are 14 outstanding historical buildings, 37 preserved historic buildings on this road. On 11 June 2011, Wukang Road was promulgated as the 3rd batch of China Famous Historical and Cultural Road by the Ministry of Culture and the State Administration of Cultural Heritage. You can also have the opportunity to visit some former residences of celebrities: Bajin (one of the most famous writer in modern China), Zhang Leping (the most famous Cartoonist of children in China) and Ke Lin (a famous playwright, writer, and critics). Now it is a famous fashionable street in China and a fantastic place for spending leisure time. Afterwards you can take one hour's car ride to Zhujiajiao Town, or called Shanghai's Venice, the most famous water town in Shanghai by the side of Dianshan Lake near the border with Jiangsu Province. With a history of more than 1700 years and covering an area of 47 square kilometers, the little fan-shaped town glimmers like a bright pearl in the landscape of lakes. Unique old bridges across bubbling streams, small rivers shaded by willow trees, and houses with courtyards attached all transport people who have been living amidst the bustle and hustle of the modern big city to a brand-new world full of antiquity, leisure and tranquillity. * Normally 2 days tour in Shanghai is enough for most of tourists. If some tourists are much interested in the charming Shanghai Culture and its unique History, want to know more about our city and to take the in-depth tour in the city, the following suggestion would be useful to you. 1) One Day Hiking Tour in the Former French Concession to stroll in some beautiful streets such as Middle Huaihai Road (built in 1901，named in 1915 as Avenue Joffre to honor the French general Joseph Joffre, who visited Shanghai and attended an official renaming ceremony in 1922. ), Wukang Road (old name Route Ferguson after Mr. John Calvin Ferguson, an American Missionary and 1st official president of Nanyang College (the former Jiaotong University). ), West Fuxing Road (Old name: Route Gustare de Boissenzon), Middle Fuxing Road (Old name Route Lafayette), Fenyang Road (old name Route Pichon), Shaoxing Road (old name Route Victor Emmanuel Ⅲ, built in 1926 and named after the name of a Italian King. Only 480m long and 12.3-18.5m wide. 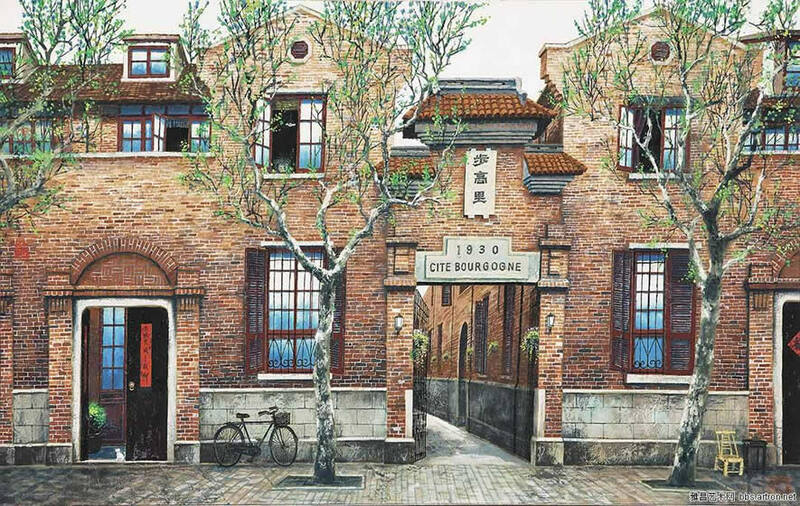 ), Ruijin 2nd Road (Old name Route Pere Robert), Middle Jiangguo Road (Route Stanislas Chevalier, built in 1902, named after a Catholic priest in Shanghai. It is 588m long and 15 - 17 m wide. ), Sinan Road (Old name Rue Massenet, completed in 1914, in the memory of the famous French musician - Massenet (12 May 1842 - 13 Aug 1912) who was a French composer of the Romantic era best known for his operas, of which he wrote more than thirty.) ..., to visit some celebrities' ornate old villas and appreciate the alluring mix of scrappy Shanghainese street life, European colonial charms, Art Deco edifices, hidden brick courtyards, and cafes, restaurants, boutiques, galleries, trendy bars and clubs in the renovated old houses which multiply in this area like mushrooms after a rainstorm. Tourists will also walk into Tianzifang, a maze of tiny alleys crammed full of more than 200 crafts shops, art and photographic studios, boutiques, design studios, galleries, bars, coffee shops and restaurants where some older residents still live. It is part of Shanghai’s urban renewal project and transformed itself from legacy residential architectures and factories into an artsy area. It is ardently supported by crowds of yuppies, trend setters, designers and expatriates, who fall for temptation of old Shikumen houses (stone-framed-door houses) and lanes with infinite novelties. It is well worth a visit, even if you’re not big on shopping. The original buildings are still intact, true to the authentic features of the lanes in Shanghai, with Shikumen architecture to the fore. There are over 20 varieties of well-preserved shikumen buildings in Tianzifang, whose types and completeness rank with the best in the city. Many original residents still live in the narrow lanes. The leisure rambling in Xingtiandi, an area composed of refurbished or reconstituted graceful traditional early 19th century Shikumen ("stone gate") Houses, narrow alleys and stone paved courtyards, the first lifestyle centers in China, and the nearby Si'nan Mansions area (also called Biarritz in Shanghai) which may evoke the elevated society life 100 years ago in Shanghai is surely a memorable experience for all tourists. Please click here at Computer for the detail about this One Day Hiking Tour in the Former French Concession. Please click here at Mobile Phone for the detail about this One Day Hiking Tour in the Former French Concession. 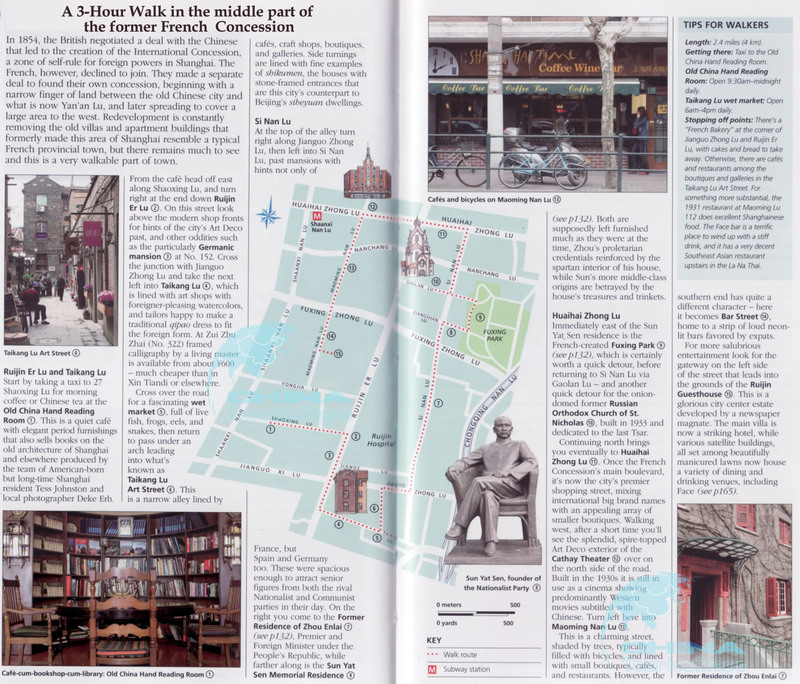 A 3-Hour Walk in the west part of the Former French Concession to only visit Wukang Road Area and its surroundings. A 3-Hour Walk in the middle part of the Former French Concession to only visit Sinan Road, Ruijing Er Lu Road and its surrounds. 3) One Day Ancient Shanghai Origin Exploration Tour - Visit Neolithic Song-Ze Ruins Museum, Songjiang Town & ancient Zhujiajiao Water Town. In this itinerary, you can visit the Shanghai Song-Ze Ruins Museum dated back to 6000 years ago, Songjiang Town and Zhujiajiao Town with over 1000 years history to explore the origin and roots of the Shanghai area, and enjoy the charming scenery in the west outskirts of the city. 6000 years ago, seas change into lands. The west part of Shanghai (current Qingpu, Songjiang and Jinshan Districts) gradually became suitable for human habitation. Archaeologists discovered earliest human existence right at Songz-Ze Ruins, which has been called “Origin of Shanghai”. 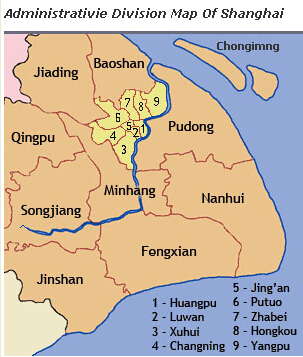 During the Neolithic period here (6000 – 4200 years ago), people living in and around this Region created four types of unique culture: Majiabang Culture, Song-Ze Culture, Liangzhu Culture and Guangfulin Culture. Since Majiabang culture habitants moved into the current Shanghai area, the culture development on the area had never been interrupted. The Neolithic Song-Ze Culture which is at the current Songze Village in Qingpu District is the starting point for the development of both the ancient and the modern civilization in Shanghai area. Songjiang, the birthplace of history and culture of Shanghai, was formerly known as Huating County in Tang Dynasty around 1400 years ago and was part of Jiangsu province at that time. As the historical and cultural cradle of Shanghai, Songjiang and Qingpu Area preserve brilliant and unique prehistoric, ancient and modern cultural significant features. It was once known for its high revenue and cotton products. Interwoven with lakes, rivers and nine hills, Songjiang presents an elegant and charming scenery. Tourists will visit The Shanghai Song-Ze Ruins Museum which was built on a Neolithic Age village site around 6000 years ago – the earliest village being discovered in Shanghai to know the early development of human culture and find many “1st” in Shanghai: The 1st Man, The 1st Rice, The 1st Well, The 1st Village… “Song-Ze Culture” was named as one of the most representative prehistoric culture of China. 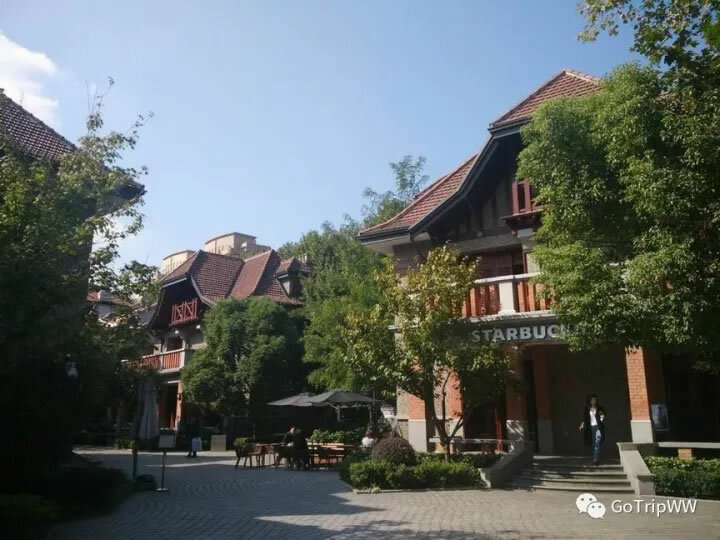 Located on the west outskirts of Great Shanghai, the current Songjiang Town is the urban center of Songjiang District which is one of the earliest land in Shanghai. 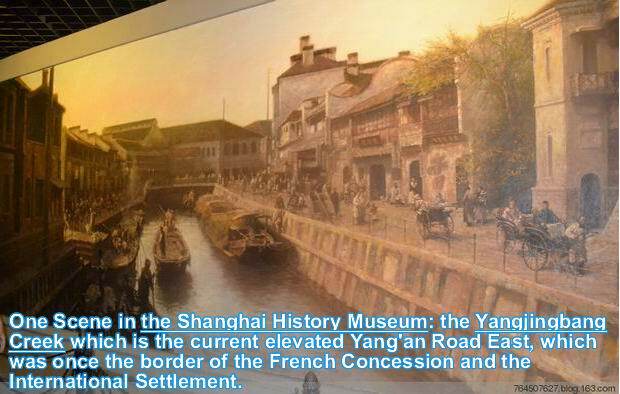 Shanghai County was under Songjiang Prefecture when it was set up in 1292 by the side of Huangpu River in the current downtown Shanghai. In Songjiang Town, tourists will visit Fangta Park (Fangta means Square Pagoda) which is located on the site of the former commercial center of Shanghai area during both the Tang Dynasty (618-907) and Song Dynasty (960-1279). You can find many precious ancient buildings and antiques in this Park. 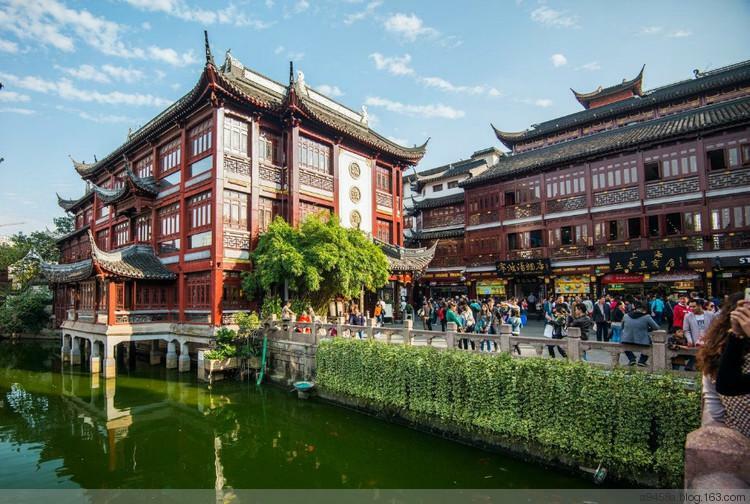 At this town, tourists will also visit a famous ancient classical Chinese garden, an ancient Mosque and well pretested old zone with tranquil rivers and bridges. The well protected picturesque Zhujiajiao Town by the side of Dianshan Lake is the most famous water town in Shanghai. In fact, the current downtown Shanghai area was also a water town and many fishing villages around 170 years ago which are quite like the current Zhujiajiao Town. You can know what the old Shanghai likes in this town. Please click here at Computer for the detail about One Day Ancient Shanghai Origin Exploration Tour. Please click here at Mobile Phone for the detail about One Day Ancient Shanghai Origin Exploration Tour. 4) 2 Days Shanghai Ancient Origin & Neoteric West Culture Exploration Tour - Visit Neolithic Song-Ze Ruins Museum, Songjiang Town & ancient Zhujiajiao Water Town, Many Historical Areas in Downtown Shanghai. Beyond the One Day Shanghai Ancient Origin Exploration Tour as listed above, on the 2nd day, you can visit many historical areas in downtown Shanghai. So that tourists can know more about Shanghai Histroy. The places include Yuyuan Garden, Yuyuan Bazaar, Confucius Temple and old city wall (only 50m long survived now). All of them were built hundreds years ago and represent the old Shanghai culture. 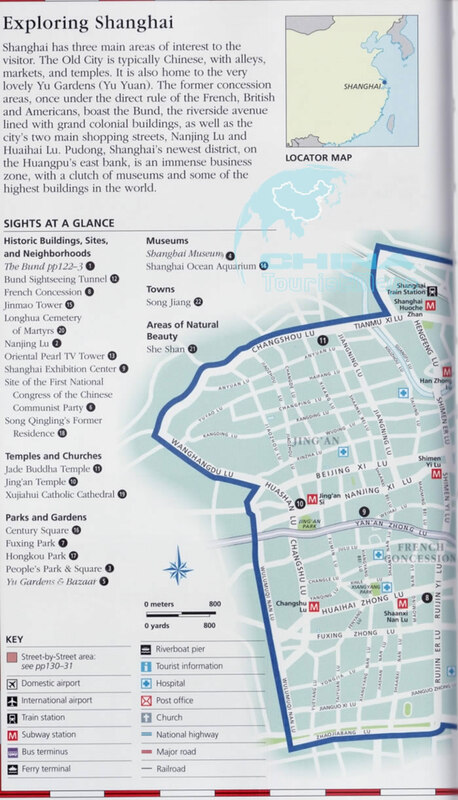 And tourists will also indulge in the cozy feeling of colonial charm in this fabled city by visiting Xujiahui (Zi-ka-wei) area (the origin of the Catholic culture in Shanghai, and even called Oriental Vatican), some famous culture streets and blocks with former celebrate’s residences and café, restaurants, boutique shops converted from charming old houses in the former French Concession. This tour will be completed after a leisure strolling on the Bund, the showcase of the city’s semi-colonial past and its transformation in the new era. Please click here at Computer for the detail about 2 Days Shanghai Ancient Roots & Neoteric Western Culture Exploration Tour. Please click here at Mobile Phonefor the detail about 2 Days Shanghai Ancient Roots & Neoteric Western Culture Exploration Tour. Jews played a significant role in Shanghai's development from the middle of the 19th century to 1949. Many wealthy and successful entrepreneurs such as Sasson, Moller, Marcus, Hardoon and Kadoories lived in the city and ran thriving businesses. If you are interested in Shanghai's extraordinary Jewish history, experience and heritage, you can take this One Day Jewish Tour in Shanghai. In this tour, tourist can visit the various sites of significance (such as the old Ohel Rachel Synagogue (the largest synagogue in the Far East), the old Designated Area for Stateless Refugees of Shanghai, Moller Villa, Ruijin Hotel (originally Morriss Garden), Cathy Hotel) on the historical trail through Shanghai's Jewish history. Led by a knowledgeable guide residing in Shanghai, the tour is a memerizing journey into an amazing sweet and sour world where opium dealers, old world colonialists, real estate moguls, hard working poor Chinese migrants and Jewish holocaust survivors all mix. If you plan to find a place to enjoy a nice time with you baby, the visit of Disney for whole day, or Ocean Aquarium for around 2.5 hours, or Shanghai Science and Technology Museum for around 4 hours or Shanghai Natural History Museum for 3 hours would be good choice. There some other places deserving to be visited in Shanghai, such as People Square (the center of Shanghai with Shanghai City Hall, Shanghai Museum and Shanghai Concert Hall in it) and Shanghai Museum (one of the 3 best Museums in China), Hailun Road, 1933 Shanghai and its Environs, Tianzifang Old Shanghai Citizen Residence Area (now the old houses were converted as the shopping, bar, restaurant, boutique and gallery area), Qibao Ancient Water Town… If any tourist needs a guided tour to these places, please feel free to contact us. The following is some info about the popular tour attractions in Shanghai. I hope these info would be useful for your tour in Shanghai.